This week we’re joined by Shawn Wildermuth. He’s writing a Windows Phone 7 book, and he gives us the inside scoop! Shawn’s experience with a Windows Phone device (mostly positive). Is Shawn carrying the Windows Phone 7 phone as his ownly phone? Why cloud is important for the phone. Multitasking – Android versus Windows Phone 7. Lessons that Windows Phone has learned from iOS and Android. 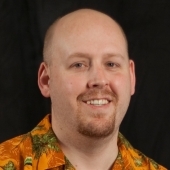 Shawn Wildermuth is a Microsoft MVP (C#), member of the INETA Speaker’s Bureau and an author of six books about .NET. Shawn is involved with Microsoft as a Silverlight Insider, Data Insider and Connected Technology Advisors (WCF/Oslo/WF). He has been seen speaking at a variety of international conferences including SDC, VSLive, WinDev, MIX, DevTeach and DevReach. Shawn has written dozens of articles for a variety of magazines and websites including MSDN, DevSource, InformIT, CoDe Magazine, ServerSide.NET and MSDN Online. He has over twenty years of software development regularly blogs about a range of topics including Silverlight, Oslo, Databases, XML and web services on his blog (http://wildermuth.com). He is currently teaching workshops around the country through his training company AgiliTrain (https://agilitrain.com).